I always love the pruning season. There is so much excitement as we begin removing the grape canes that grew during the last season and as we prepare the vines for the growth to come. 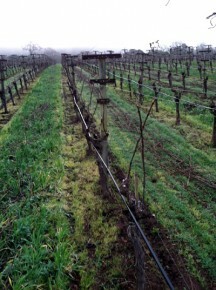 Pruning is an art, and our crew creates a new sculpture with each vine they prune. The goal of pruning is to leave the buds that will grow shoots and produce the clusters. If we leave too few buds the vines will produce too much vegetative growth, potentially producing off flavors in the fruit. Too many buds left on the vines will produce shoots that are too short, making it difficult for the vines to ripen the grapes. Finding the right balance to match the potential growth each site offers is the key to being a successful pruner.